Prevention : How Well Are We Doing? A Community Discussion About Substance Abuse. This past Monday, the Capitol Plaza in Montpelier hosted Prevention Day: an event where youth and adults come together to discuss Vermont’s substance abuse problems, but most importantly, the influences in our lives, good and bad, and how we go about preventing youth and adults from abusing substances. The program consisted of an Adult program and a Youth program; the adults focused more on fundraising and designing a statewide prevention plan, while youth discussed what they have to offer to the community to prevent substance abuse, and how to could go about creating change. It was my first year attending Prevention Day, and I decided to participate in the Youth program. Although some activities felt childish (being a senior in high school), it was great to meet other middle and high schoolers wanting to make change in a topic that is important to me. We began the day by discussing the people who influence us; our friends, family, classmates, and even people we don’t know personally, such as celebrities. We talked about big brands such as McDonald’s, Toyota, and Nike, and how they create short and catchy slogans in order to attract consumers. Even Justin Bieber and Miley Cyrus came up; how they have changed their look and their music in order to attract a different audience and influence people in a new way. We then made slogans for ourselves; a short phrase that represents something positive we bring to the community. It was helpful to make the connection between substance abuse problems and how our society and the people around us have a tremendous influence on how we live. Officer Jermaine Galloway, from Idaho, led us through a game of Jeopardy, which included questions about drugs and alcohol, and lots of candy if you answered them correctly. Having studied addiction last year through Branching Out, I did pretty well, but some of the questions left me stumped, such as the “$1,000,000” question, which Officer Galloway asked at the very end: Which schedule is marijuana? (There are 5 schedules that drugs are categorized into: 1 being a drug with no currently accepted medical use and a high potential for abuse, and 5 being a drug with accepted medical use and low potential for abuse). Officer Galloway tours around the world discussing drugs and alcohol, and he mentioned that this questions seems easy, but it’s actually quite tricky. Although marijuana has been proven to have medicinal properties, it is schedule 1, because it is currently not legal at the federal level. 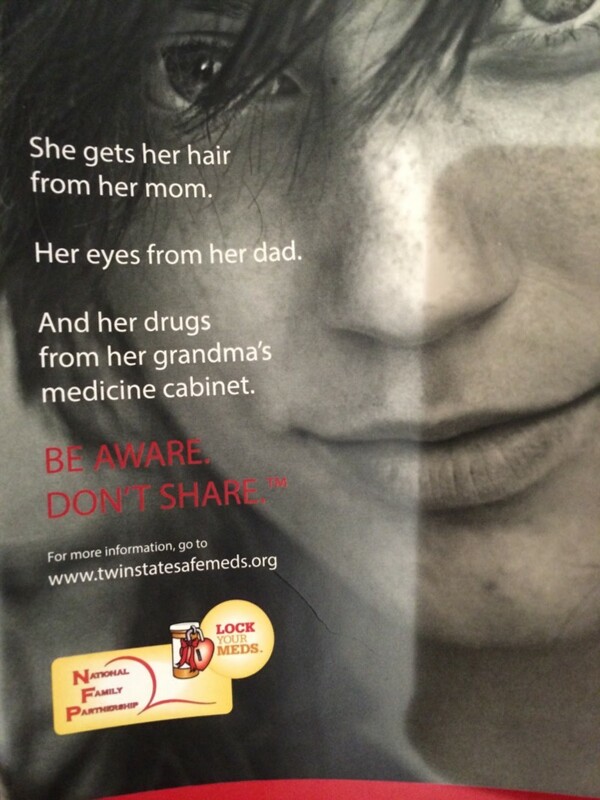 A poster from the Prevention Day meeting last Monday at the Capitol Plaza. Of course, we all know that substance abuse is a huge problem nation-wide, but how do we stop it? While we need to help those already affected by substance abuse, we could do more to educate people and prevent it from happening in the first place. 5. and adults modeling a healthy lifestyle. As we think about Vermont and its substance abuse problems, which of the five factors do you think we’re succeeding at? Which factor could we do more work to improve?